Waterfront one, two, and three bedroom condos all overlooking one of Door Countys largest privately owned white, sand beaches. 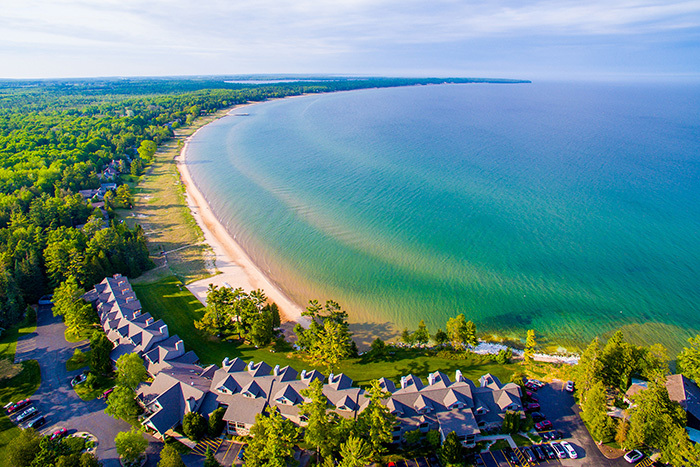 Located on majestic Lake Michigan, we are nestled in a picturesque, wooded location near Whitefish Bay Dunes State Park, Cave Point County Park, and Shivering Sands Nature Conservancy. If you love nature, relaxation, and beauty then you will love Glidden Lodge Beach Resort.